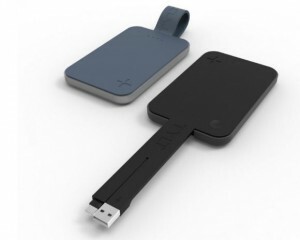 Let’s consider this a sequel to the Flipstick Portable Power Pack that I reviewed yesterday. Yes, this is another review of another mobile battery back, but it is quite something. I have to admit that I really like the Flipcard. While it may not be small and compact as a credit card, it is a little thick because it is made for 5,000 mAh. That’s good, because you can get 2 full charges on a regular smartphone. Much of what is on the Flipcard is on the Flipstick, with the LED battery level indicator lights and made for micro-USB, Lightning, and Type-C connector. This is one of the issues with mobile batteries, is they tend to be all alike. Oh wait, there is something different as the Flipcard has a 2.4 Amp output. Okay, it really is quite a product, and you need to get in on this if you want a great mobile battery. You can purchase it on the TYLT site for about $49.99.